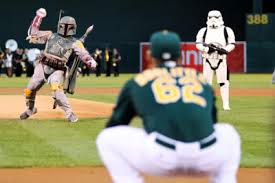 Posted on April 7, 2014, in MLB Podcast Network and tagged 2014 Oakland Athletics, blown save, derek jeter, jim johnson, milwaukee brewers, oakland a's, Paul Francis Sullivan, Star Wars, Sully Baseall, Sully Baseball, Sully baseball daily podcast. Bookmark the permalink. Leave a comment.